Brexit crisis: London design company Innermost is considering moving operations to the EU if the Brexit vote leads to the UK being excluded from the single market. The brand said that it "will take all necessary measures" to protect its business, and is prepared to relocate some of its business functions to the continent. 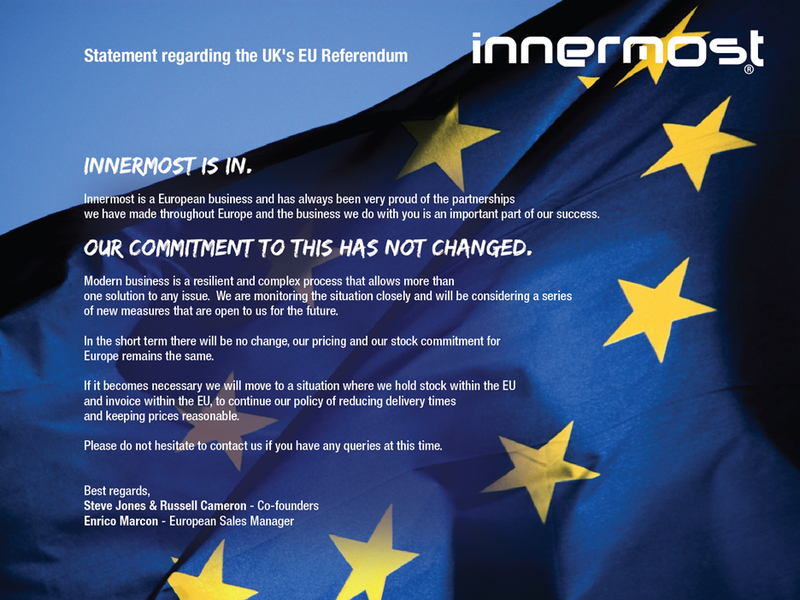 Innermost set out its plans in a statement emailed to its European business partners in response to concerns from clients on the continent about the implications of the vote. "We're monitoring the situation closely and will be considering a series of new measures that are open to us for the future" read the statement, which was sent out in French, German, Italian and English on Tuesday 5 July 2016. "If it becomes necessary we will move to a situation where we hold stock within the EU and invoice within the EU," the email said. Exclusion from the EU's single market could lead to taxes and tariffs being applied to UK exports, making Innermost's products more expensive on the continent. "We will do everything possible in order not to lose turnover or part of it," Innermost's European sales manager Enrico Marcon told Dezeen. "The free movement of goods and persons inside the EU is crucial for our operations," he added. "If there should be in the future limitations to this, we will take all necessary measures, even setting up a warehouse in another country of the European community." Innermost co-founder Russell Cameron said that the company was considering a number of options. "Having a trading arm within the EU would allow us to continue the support of our European partners," he told Dezeen. "Whether this is just a logistics warehouse or something greater is a decision to be made when more is known." Cameron added that business uncertainty would continue until the future relationship between the UK and the EU had been negotiated. "Until we start to see what the trade landscape will look like after the Article 50 negotiations [to agree terms of the UK's departure from the EU], no one can say for definite how Brexit impacts your company," explained Cameron. "Currently we have only seen nervousness from our European partners, which so far we have reassured." Launched in 1999 by Cameron and fellow designer Steve Jones, Innermost currently has a studio and workshop in Wembley and a 10,000-square-foot facility in Telford, England, which opened last year. In its offices, it employs 26 members of staff. The brand works with international designers and distributes worldwide, with showrooms in both central London and Hong Kong. Examples of its products include a candelabra by Item, Rich Brilliant Willing's furniture made of overlapping wooden slats and round stools by Kyuhyung Cho. The UK voted 51.9 per cent in favour of a British exit from the EU and 48.9 per cent to remain at a referendum on Thursday 23 June 2016. Leading UK architects and designers voted overwhelmingly to remain, according to a straw poll conducted by Dezeen. 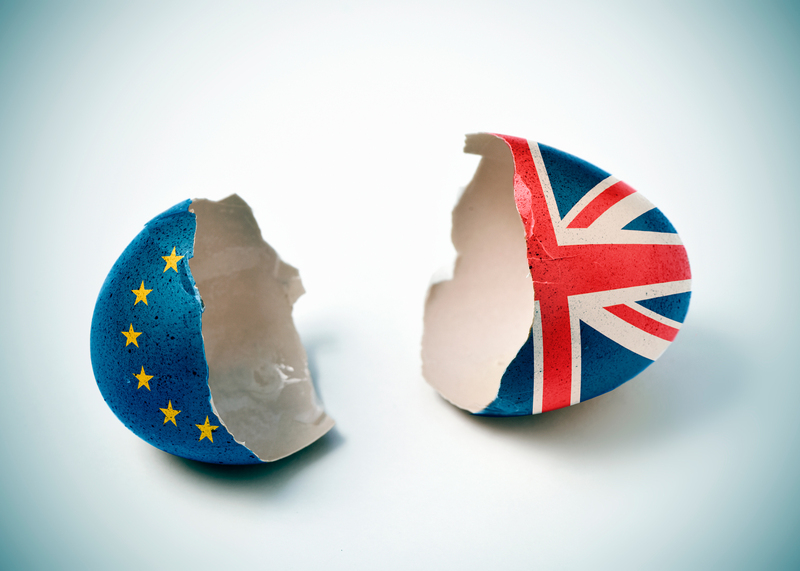 The vote to leave has resulted in concerns about the future of the design industry in the UK, it has already lead to job losses and project uncertainty for UK architects.